Taxes, registration and DMV are not included in advertised price because they're dependent on where the vehicle is being registered. A $75 documentation fee will be added at time of purchase. Vehicles are sold cosmetically as is. Costs incurred by Queens Auto Mall as a result of customer requests i.E. Fixing a ding or dent etc; are also not included in the advertised price. Furthermore, any additional fees required by law (which may vary from State to State) are not included in advertised price. 100% TRANSPARENT. We make every attempt to adequately represent the condition and features of all our inventory including vehicle information, pictures, pricing, and status but there may be inaccuracies between human error and technical glitches. Queens Auto Mall assumes no responsibility for inaccuracies in online information nor is it responsible for any third party advertised errors. Please confirm any questions, concerns, vehicle availability etc; by calling Queens Auto Mall direct. * In the world of 7-passenger crossovers, true daring is rare. 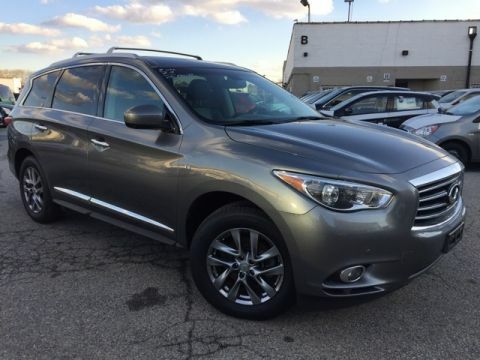 Thanks to the INFINITI QX60, blending in is no longer a requirement. Its unmistakable lines flow with emotional energy and draw you into an experience overflowing with stirring rewards and one-of-a-kind design and technology. A spacious interior, which easily accommodates the most varied of lifestyles, thrills the senses with sweeping design and sensuous materials. The ingenious sliding second row maximizes legroom, while making access to the third row exceptionally effortless, even with a child seat installed. Discover heightened awareness with the world's first Backup Collision Intervention and the Around View Monitor with Moving Object Detection. 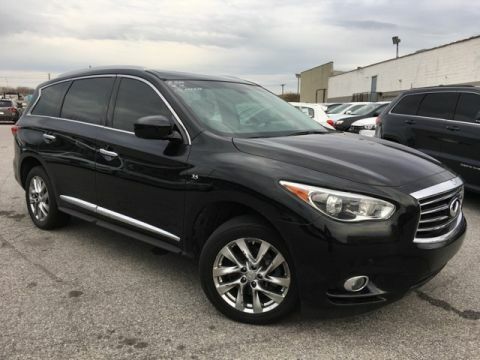 The QX60 matches confidence with convenience by offering the network of security and concierge services that make up INFINITI Connection. Inspired Performance is, and will always be, the driving force behind every INFINITI, and the QX60 is no exception. 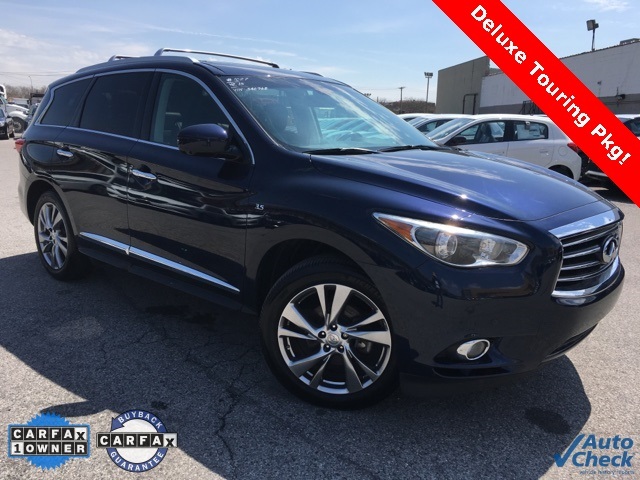 Whether engaging the power of the V6 or INFINITI's Intelligent All-Wheel Drive system, the QX60's refined driving characteristics are meticulously crafted to achieve maximum output while enhancing your feel for the road. 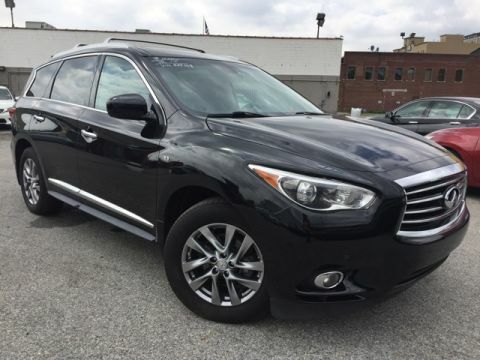 Behind the seductive curves of the QX60 lives INFINITI's signature sense of exhilaration.